The Arabic Program offers a major, minor, and courses targeting multiple literacies in the Arabic language, literature, translation, media, and business so as to render the skills, which the students acquire in Arabic relevant to their academic pursuits and professional career demands. The courses offered through the Arabic language cover four levels/years of language instructions at the undergraduate level. In the first and second year of Arabic instructions, students have the choice between the College-wide standard four-credit track and the special intensive six-credit track. Language courses in Arabic, regular track or intensive, are communicative-based and student-centered and emphasize all four language skills (listening, reading, writing, and speaking) in addition to fostering cultural competency. From the first course onwards, Arabic classes strive to maximize the students' exposure to the target language in the classroom. The adopted textbooks are the most recently published in the field of Arabic pedagogy. The Arabic language instructors supplement the adopted textbook with their own language tasks, functions, exercises that accommodate the diverse learning styles of GW Arabic learners. The multiple literacies learners develop in Arabic at GW open cultural and linguistic window to CCAS and GW students to one of the non-Indo-European languages. In so doing, program courses in Arabic or English demystify the complex aspects of Arab language and culture and open the learners' minds to conceptually unfamiliar and frequently difficult to understand cultural norms and values of the Arabs. The program goals aim to increase the students' tolerance for cultural differences and empower them to expand their understanding of diverse human aspirations and interests. These goals ultimately hone in students' critical thinking and foster intellectual analysis of "foreign" cultures and prepare students for lifelong learning, which is consistent with GW goals. 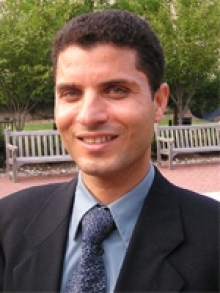 Through multiple literacies in the Arabic language, GW students are able to embark on career paths as diplomats and foreign service officers, government language analysts, translators, consultants, and conducting graduate work involving competency in Arabic in areas such as history, comparative linguistics, Semitics, religion, political sciences, business, and international trade. Students in the Arabic program, as a result of their attainment of appropriate proficiency level in Arabic may comprehend contemporary and historical texts necessary for their specific academic pursuits. The Arabic program offers a minor in Semitic languages and Cultures. This minor has been instrumental in furthering integration between two Semitic sister languages, Hebrew and Arabic, and thereby establishes closer interdisciplinary ties between the Hebrew and Arabic programs within CNELC. These interdisciplinary ties have enabled students in both the Hebrew and Arabic tracks to develop wider intellectual perspectives on the linguistic and culture commonalities between two of the most important languages of the Middle East region. Undergraduate students who are considering a Arabic concentration are encouraged to speak to the Department’s Language Coordinator Mohssen Esseesy during office hours to discuss your course of study. Also, click here to read about the requirements and instructions for a major or minor in Arabic.